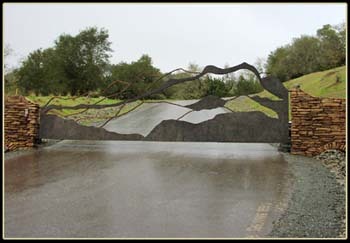 Custom designed bi-parting mountain silhouette drive gate. Powder coated, faux finish. These gates are automated.